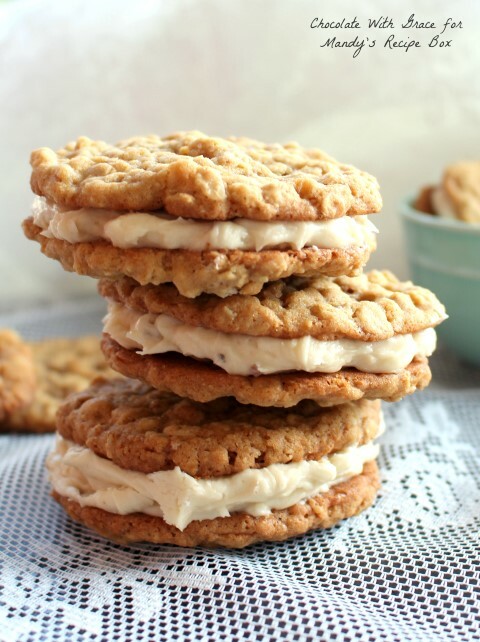 A traditional oatmeal cookie filled with a buttery, fluffy maple buttercream. So I have had a couple crazy days. Last weekend, I headed up to nearby Bucks County for the Big Harvest Potluck, which is mini-conference for food bloggers. Actually, it’s more of a big happy family event with lots of food, fun and inspiration. Besides all the wonderful friends I made, I came away with some purpose and focus for my blog. And to say it simply, it’s just to be me. Also, to make my blog into what I want it to be, not what other people are telling me it should be. The reason I’m telling you this is because I want to let you know I’m going to ease up a bit. I’ve doing pretty much three posts every week, but that schedule is draining me and leaving little time for anything else. I also want to concentrate higher quality posts. I only want to give you guys the best of the best. Sorry for the long detour away from the oatmeal cookies, but I wanted to share that with you all. You can find the recipe for these Oatmeal Cookies with Maple Buttercream on Mandy’s Recipe Box today so head over to her blog to get the recipe. Mallory, I totally hear you! And I think scaling back will be such a fun way to let yourself experiment in the kitchen 🙂 These cookies look amazing! I love everything about this post, sounds like you had a great weekend! I totally hear you, 3 posts per week just puts me right over the edge. Do what you gotta do girl, because it’s got to be fun. These cookies look amazing, btw! 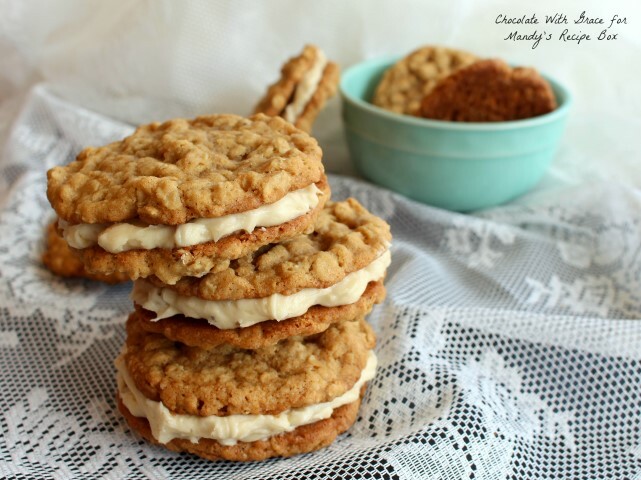 Oh that maple buttercream sounds AMAZING with the oatmeal cookies! This is such a great post Mallory. I’m so glad you had a great time at BHP and learned more about where you want to focus your blog more on. Blogging can take up a lot of time so do what feels right to you 🙂 Love these oatmeal sandwich cookies, they look amazing!